UPDATED: Tue., July 10, 2018, 1:36 p.m.
EL SEGUNDO, Calif. – Lance Stephenson always felt his famed rivalry with LeBron James was rooted in mutual respect. 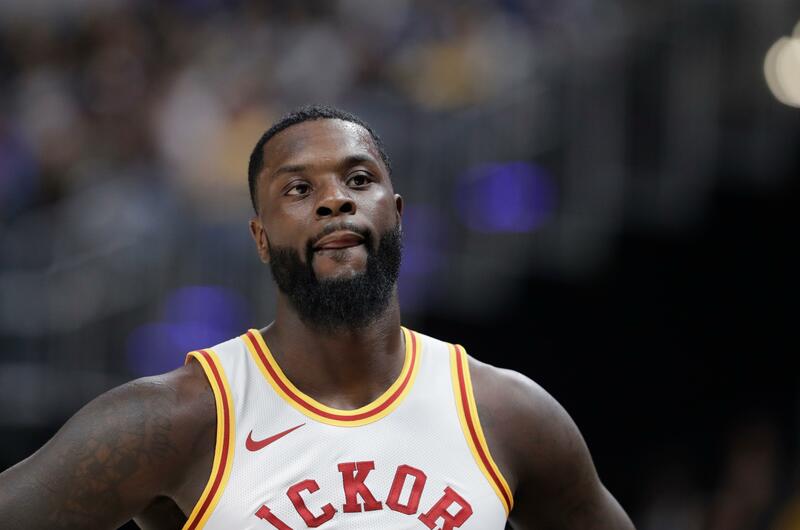 Coming off a productive season in his latest stint with the Indiana Pacers, Stephenson agreed to a one-year, $4.5 million deal to join James, McGee and Rajon Rondo in the Lakers’ influx of veteran talent. Stephenson has been one of James’ most famed antagonists during their careers, and even Stephenson is surprised they’ve become teammates. But it only took a phone call from LeBron to persuade Stephenson to join the Lakers. The Lakers chose Mykhailiuk with the 47th overall pick in last month’s draft. The Ukrainian shooter averaged 14.6 points, 3.9 rebounds and 2.7 assists per game for Kansas last season while setting the Jayhawks’ single-season record with 115 3-pointers. Mykhailiuk has been impressive early in Las Vegas summer league play, and the Lakers decided they didn’t need to wait to sign him later in the offseason. Published: July 10, 2018, 12:45 p.m. Updated: July 10, 2018, 1:36 p.m.